Today marks the 95th anniversary of actor Yoshio Inaba‘s (1920-1988) birth on July 15, 1920. Best known for his role as the second-in-command Gorobei in Akira Kurosawa‘s Seven Samurai, Inaba also had a small role in Kurosawa’s Throne of Blood. 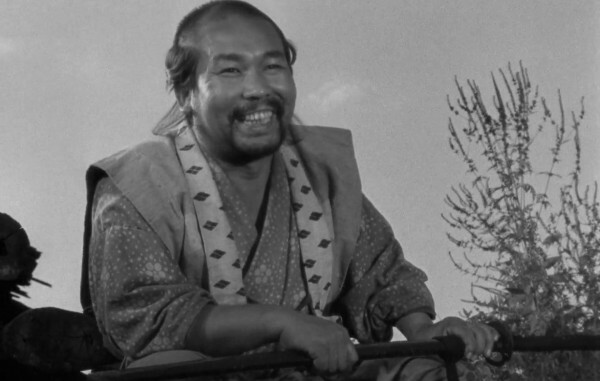 Inaba’s background was in theatre and he had only made a handful of films before being cast for Seven Samurai. Kurosawa and Inaba reportedly never really got along (see for example Galbraith, 179) since Kurosawa singled him out as a target of abuse during the production, thinking that Inaba ultimately lacked the guts for the role for which he had been hired because of his ability to be both humble and mature at the same time. In addition to his minor role in Kurosawa’s Throne of Blood, Inaba appeared in over a hundred films and television dramas during a career which lasted until his death in 1988. These included roles in such works as Masaki Kobayashi’s Harakiri (1962), the Zatoichi series (1974-1979), Kihachi Okamoto’s Samurai Assassin (1965) and John Frankenheimer’s The Challenge (1982). Inaba’s appearances were usually in smaller supporting roles, many of which took place in films starring Toshirō Mifune with whom he shares credits on thirteen films, according to IMDb.